Claimed to be the first of its kind, Celcom earlier today has unveiled a set of new postpaid plans that is called First by Celcom. 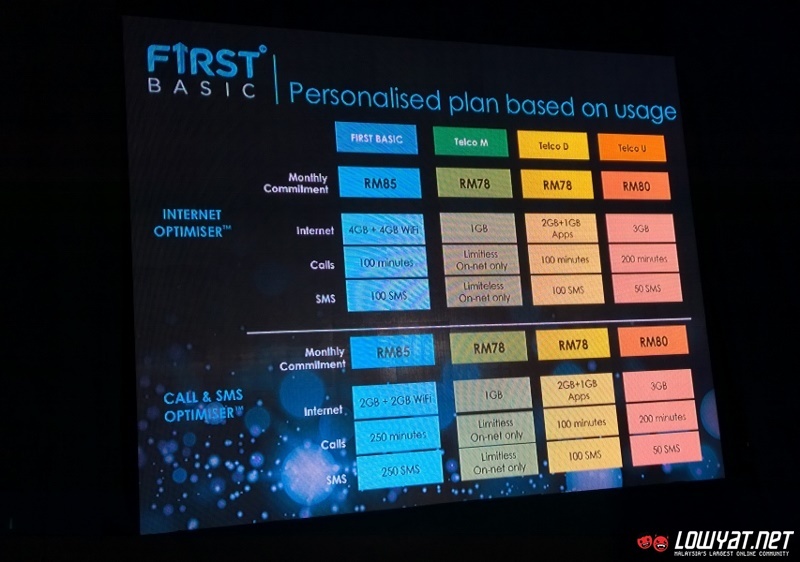 While the name might be confusing since it is generally the same as Celcom’s existing postpaid plans, the telco insists that these new plans are different. 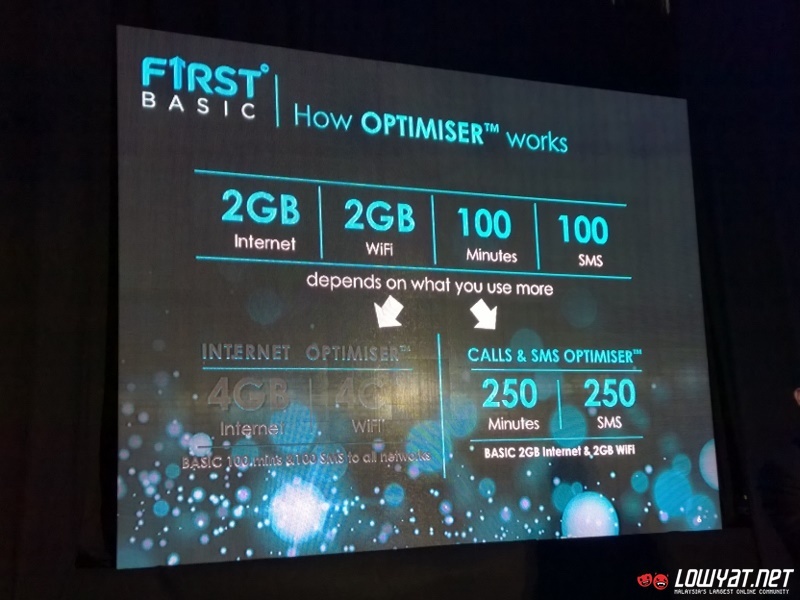 In a way, there is indeed some truth in Celcom’s claim as these new plans come together with a feature that the telco branded as OPTIMISER which provides free additional quota for data or voice and SMS once users hit the basic quota as stated in their plans. Not to forget, OPTMISER works automatically depending on customers’ usage. Specifically, if a customer finished up his or her data allocation first, then the OPTIMISER feature will automatically increases the amount of data available for that customer. If he or she finishes up voice and SMS allocation first as opposed to data, then the voice and SMS quota will be increased instead. If users still managed to finish up those additional allocations, they then have the option to pay for even more data through Max Up add-ons which costs RM 15 for 1GB and RM 50 for 5GB. 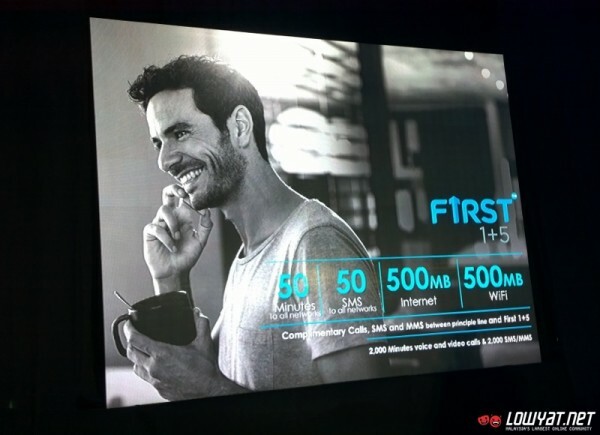 Alternatively, users are also able to stay connected on a Pay-As-You-Use (PAYU) basis at 50 sen per 20MB. 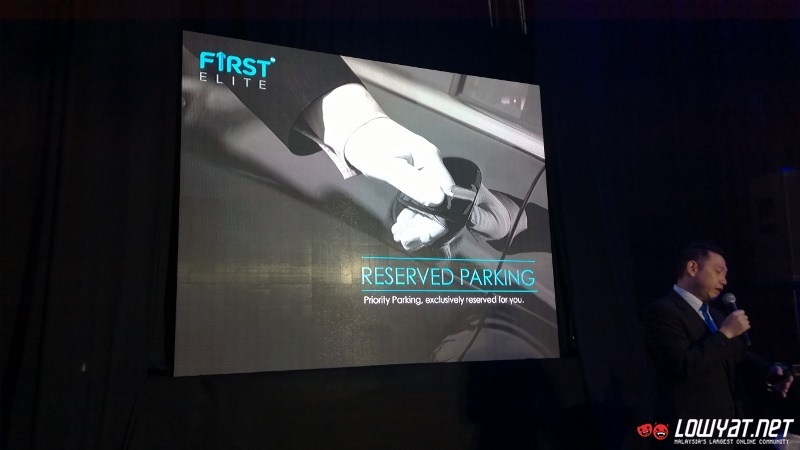 As for voice and SMS, users are charged based on a PAYU rate at 15 sen per minute and 15 sen per SMS after they hit their additional voice and SMS allocations. 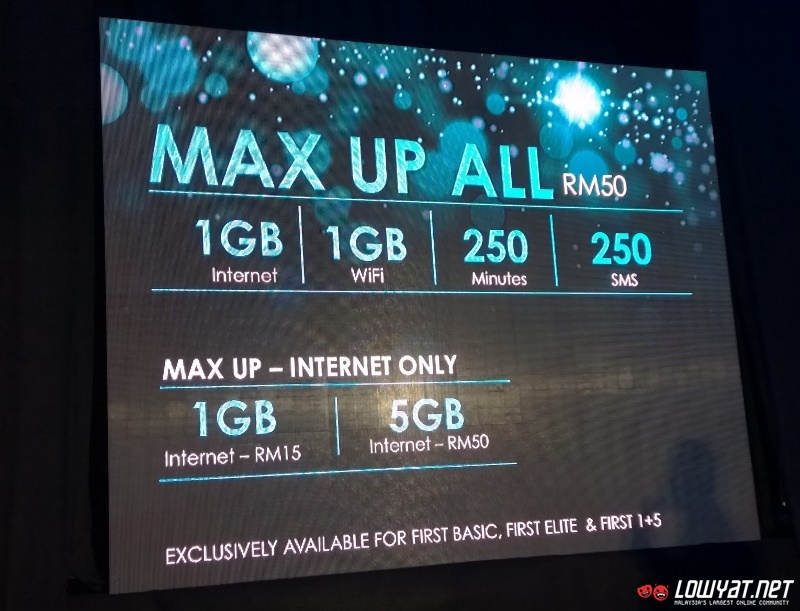 For customers who need to increase both data and voice at the same time, they can opt for Max Up All add-on which provides 1GB data, 1GB WiFi, 250 minutes of talk time and 250 SMS for RM 50. 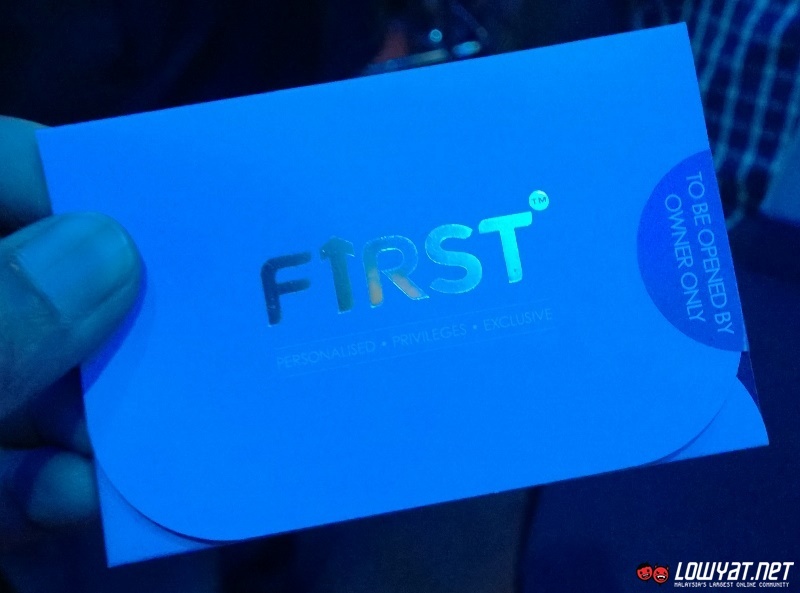 For starters, the new First by Celcom plans are available in two options with one of them being the First Basic plan which provides a basic quota of 2GB data, 2GB WiFi (for Celcom’s public hotspots), 100 minutes talk time and 100 SMS at RM85 per month. 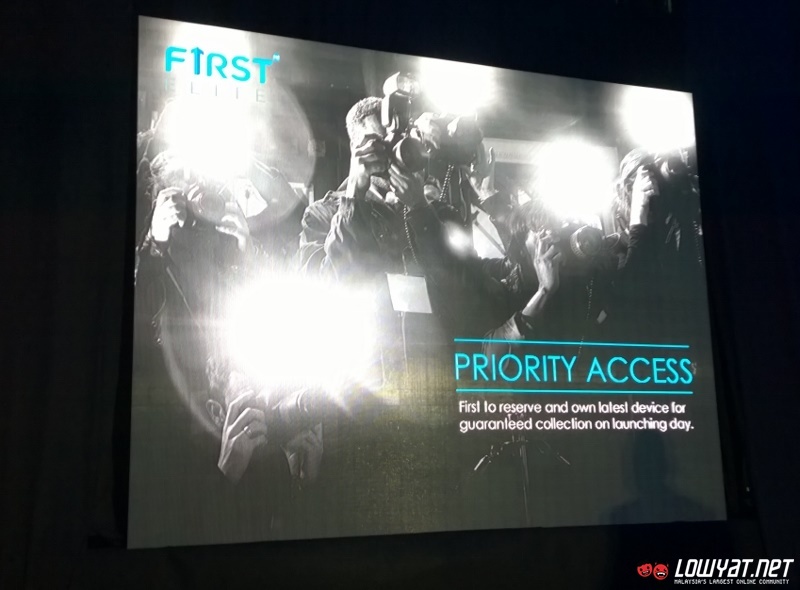 Once the data OPTIMISER kicks in, the quota will be increased to 4GB data and 4GB WiFi; an additional of 2GB for respective usages. As for the voice OPTIMISER, it will provide an additional 150 minutes of talk time and 150 SMS which pushes the quota on First Basic plan to 250 minutes talk time and 250 SMS. 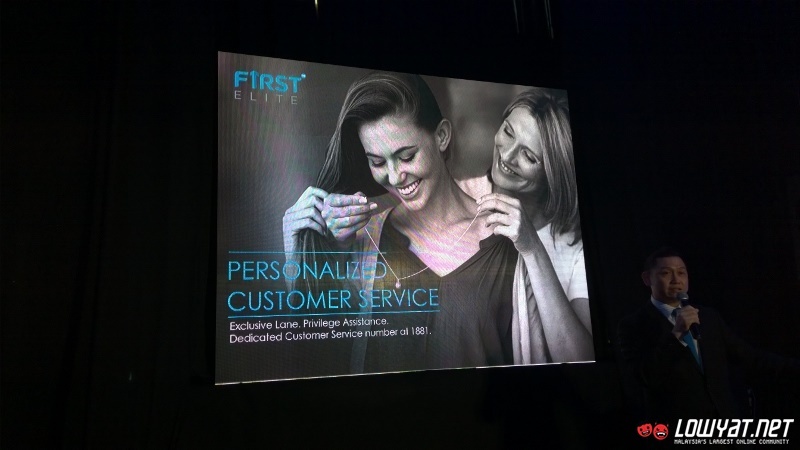 The second plan under First by Celcom is called First Elite which offers 3GB of data, 3GB for WiFi hotspots, 200 minutes of talk time and 200 SMS as its basic quota for RM235 per month. The data OPTIMISER will then pushes the plan’s quota to 5GB of data and 5GB of WiFi while the voice and calls OPTIMISER raises the plan’s limit to 500 minutes talk time and 500 SMS. 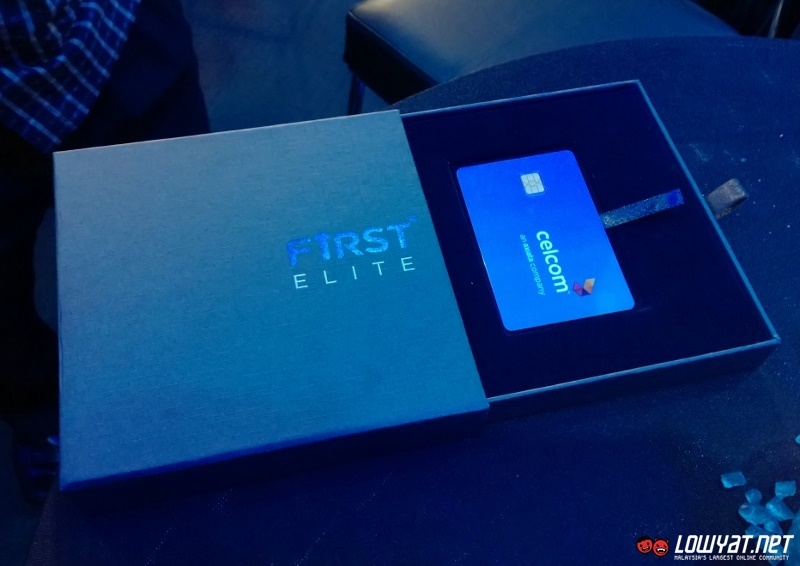 The First Elite plan also comes with an additional SIM card which has its own quota of 3GB for data, 3GB WiFi, 200 minutes of talk time and 200 SMS. 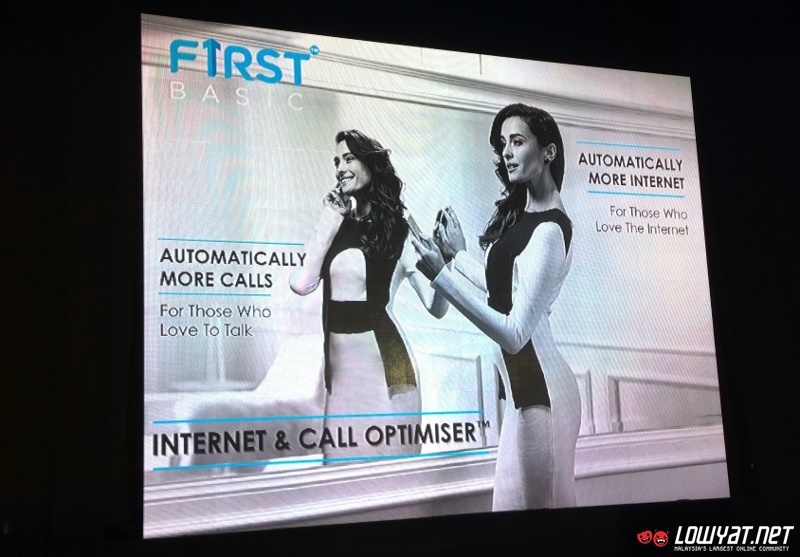 Additional data, voice and SMS for the second SIM card can be obtained through Max Up add-on or through PAYU basis. 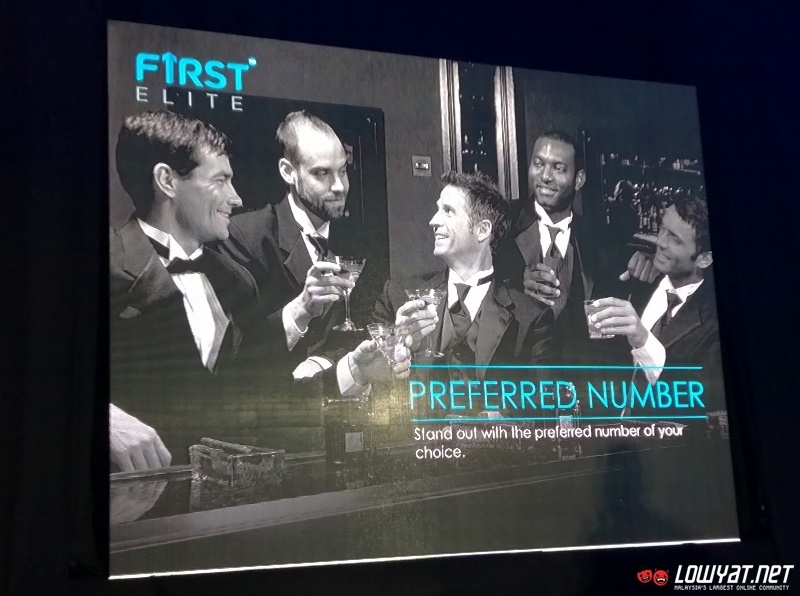 Despite the changes in terms of pricing schemes, Celcom still maintains some of the benefits (although with new names) from the original First Elite plan that were launched last year for the new First Elite plan. 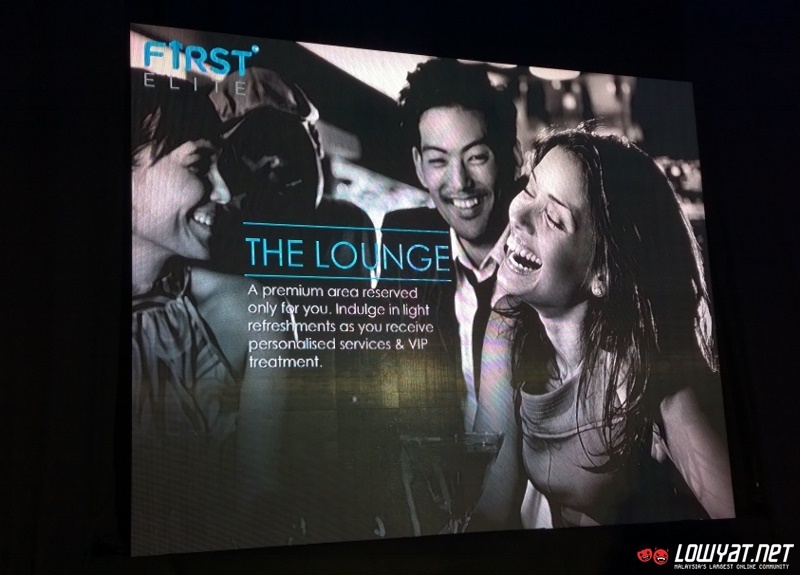 These benefits include Priority Access, Preferred Number for both principal and second SIM cards, Personalized Customer Service, access to Celcom’s own lounge at KLIA2, and Reserved Parking at selected Blue Cubes or Celcom Centres. 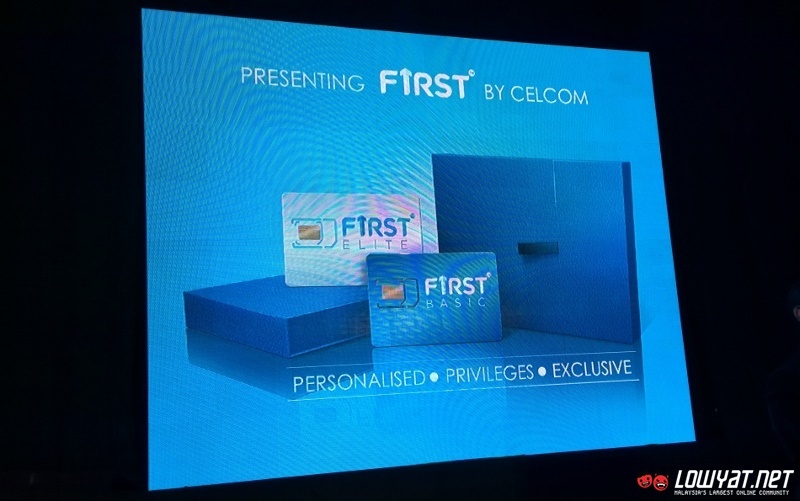 Customers of the new First by Celcom plans also have the option to add up to five supplementary lines (not to be confused with First Elite’s second SIM) through the First 1+5 scheme for RM30 per line. 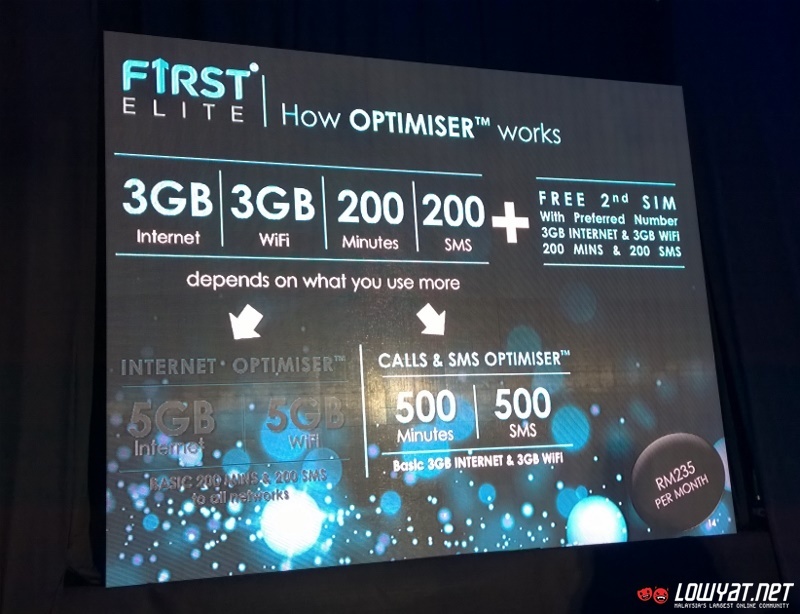 Apart from offering free calls, SMS and MMS between principal and supplementary lines, each First 1+5 line also receive 50 minutes worth of calls, 50 SMS, 500MB data, and 500MB WiFi hotspot which can be increased further via Max Up add-ons packages. Apart from what we have presented here which came from the launch event earlier today, there is not much information available about these new First by Celcom plans at the time this article is written. Celcom’s official website has yet to be updated to reflect these new plans. That being said though, customers apparently will be able to sign up for them starting from tomorrow onwards.